Workhorse Coffee Bar is located at the intersection of University Avenue West and Raymond Avenue in Saint Paul, Minnesota. We are less than a block away from the Raymond Avenue Light Rail Station and the Route 16 Bus stop. At the present, Workhorse Coffee Bar can only offer street parking. We recommend customers use the meter parking on Raymond Avenue. If you are looking to stay for a while, there is free 2 hour parking on Charles Ave or Territorial Road which is a short walk to us. 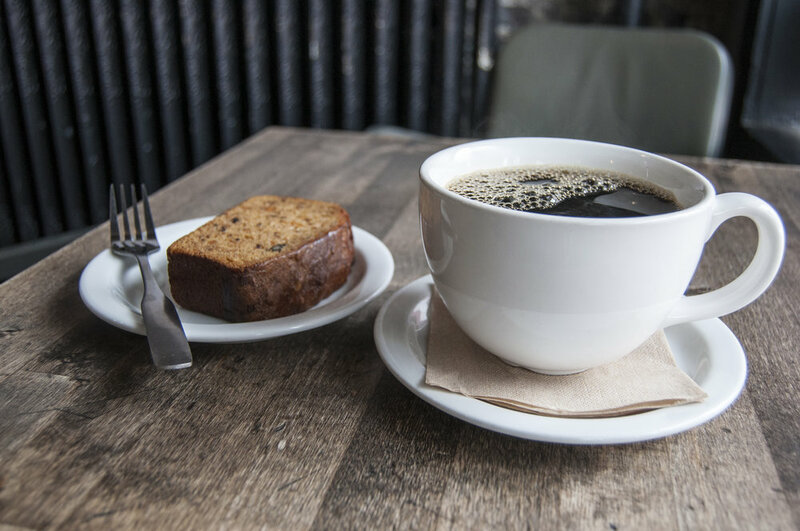 Workhorse Coffee Bar proudly brews locally roasted coffee from UP Coffee Roasters and Bootstrap Coffee Roasters. We serve delicious freshly baked vegan and non-vegan breads from Maha Muffin Company. Our baker Kristi whips up killer cookies, quiches, and house-made granola. 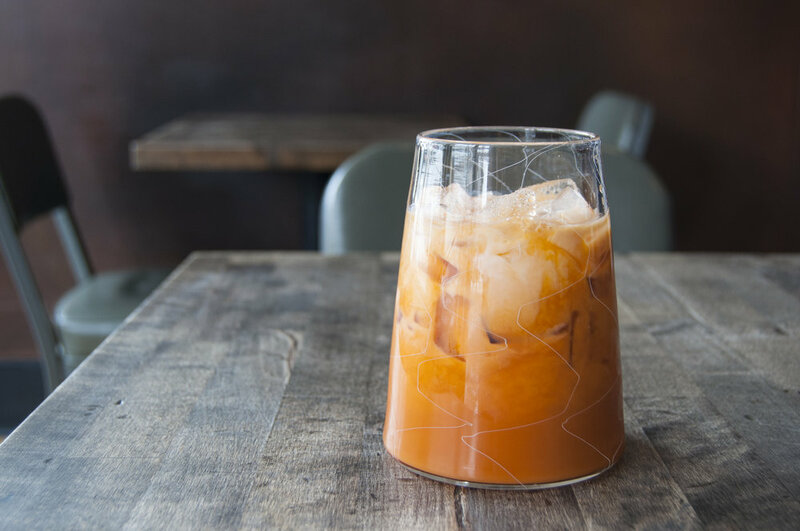 On the menu you will find traditional drinks like the Cappuccino and Macchiato, signature drinks like the Thai Iced Tea and our house-made Switchel, along with carefully developed seasonal specialties. Stop in often to see new artwork from local artists exhibited on our Art Wall. On your way in (or out) don't forget to visit the Smallest Museum in Saint Paul, a converted fire hose cabinet featuring projects inspired by the area and community.